We can provide superior oral health services due to the training and qualifications of our dental team. Dr. Adam Lalonde earned his doctorate in dentistry from the University of Detroit-Mercy Dental School in Michigan. However, his educational training did not stop there. Dr. Lalonde has completed more than 100 hours of continued education to enhance patient care. As a result, he holds various accreditations with multiple dental associations, including the American Dental Association and Texas Dental Association. His commitment to the community has afforded him the opportunity to serve on the Board of Directors for the Los Fresnos Chamber of Commerce. Working by his side is Dr. Grayson Sellers, who has been in the dental field for more than 25 years. Throughout his career, he has provided dental services in 54 countries as part of a mobile dental unit. In addition, he has earned many awards and recognitions, including the “Access to Care” award by the American Dental Association. His entire career has been dedicated to making high-quality dental care more comprehensive and accessible. Completing our team of dentists is Dr. Eric Valle, who is a graduate of the University of Texas Health Science Center Dental School. His passion for dentistry focuses on restorative care and oral surgery for both children and adults. Through the vast training and experience of dentists in our office, we are the one stop family dentist in Los Fresnos. We treat patients of all ages, including young children. Your entire family will benefit from one amazing dentist to simplify dental care. Our family dentistry offers the preventive, restorative, and cosmetic services your family needs to maintain healthy, beautiful smiles. No matter if you need a dental cleaning to maintain your oral health or would like to enhance your smile with porcelain veneers, all services you need are under one roof. We use the most advanced technologies to promote the level of care your family receives. 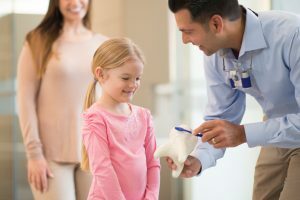 Using laser technology, digital x-rays, and sterilization techniques, your family will benefit from more comfortable and accurate care that is safe and effective. We also offer dental implants to help restore oral health and confidence for those who are missing teeth. Your entire implant procedure will be handled in our office for comfort and peace of mind. There is no need for referrals for each stage of treatment. If you are ready to simplify how your family receives dental care, it is time to choose your one stop dentist. We provide the individualized care each member of your family needs right in our office. Contact Los Fresnos Dental Center today to schedule an appointment.